Wizard of Legend [Official Site, Steam] is a very promising looking fast-paced 2D dungeon crawler I briefly mentioned last year, the new trailer is looking good. They've announced that they've teamed up with Humble Bundle to publish the game, although it seems they will only handle the console releases. 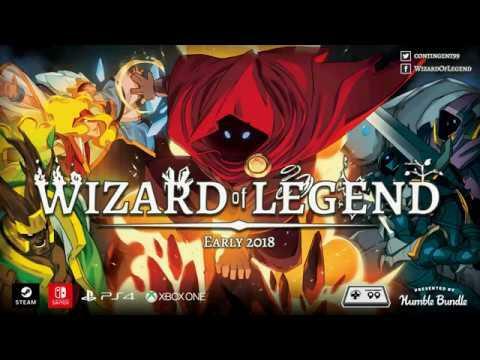 Wizard of Legend is a fast paced dungeon crawler with rogue-like elements where you assume the role of a powerful wizard intent on overcoming the Chaos Trials to become a Wizard of Legend. I'm excited, because they've already proven they can do a fully working Linux version with the demo that was up with their Kickstarter, which I tested. The mechanics all felt pretty solid too, so it's going to be fun to see that translated into a full game. Yep good one, I tried this game found on itch.io , the gameplay is very good, the question I have, is will there be a multi player mode?